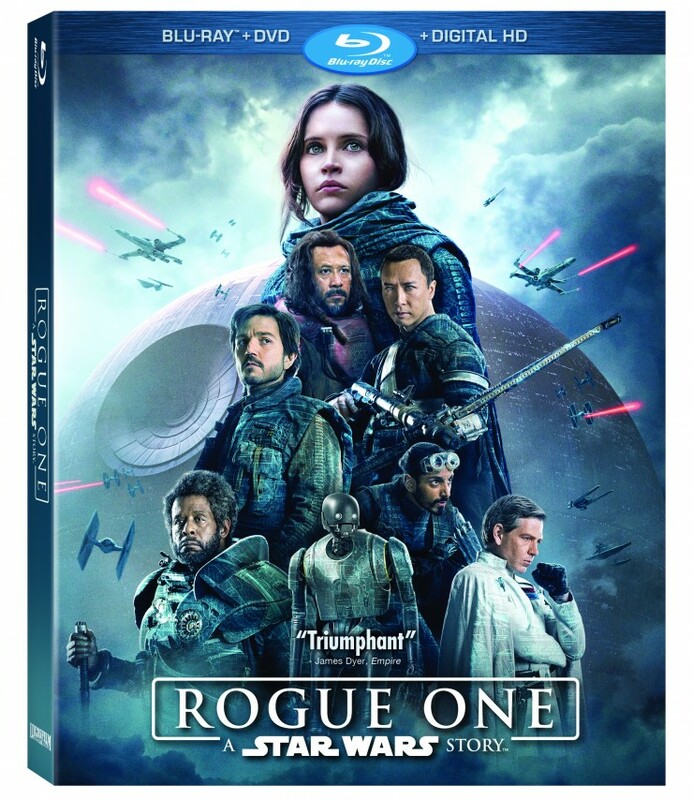 Rogue One: A Star Wars Story Blu-Ray - Frugal Mom Eh! Lucasfilm’s “Rogue One: A Star Wars Story,” the first of the Star Wars standalone films, has established its place within the Star Wars universe and the hearts of moviegoers, becoming the seventh highest-grossing film of all time in the U.S. Fans can own the epic action-adventure thriller — nominated for two Academy Awards® — on Digital HD, Disney Movies Anywhere, and on Blu-ray™ Combo Pack, DVD and On-Demand now. If you haven’t seen Rogue One: A Star Wars Story then you absolutely need to grab a copy. It is an interesting look at the early rebel alliance days following an interesting ensemble of characters. This is seriously the best Star Wars movie yet (aside from the original trilogy in my opinion), and it is one that anyone can get into, whether you are a Star Wars fan or not. The bonus features really flesh out the film, although there are some features I would have liked to have seen including the deleted scenes.